Back in 1959, Motown Records founder Berry Gordy purchased this former photographer's studio in Detroit. 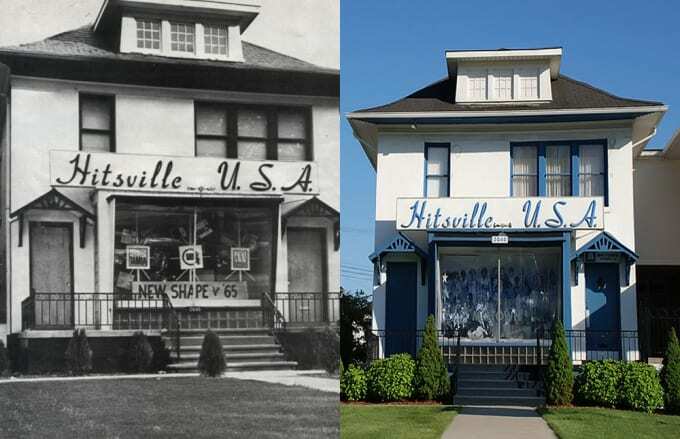 Nicknamed "Hitsville U.S.A," the building became Motown's first official headquarters as the photography studio in the back was converted into a recording studio. The space also served as Motown's administrative building. Motown became the soundtrack of the Civil Rights Movement, and one particular song became an anthem. Aside from being one of the signature Motown tracks, Martha and the Vandellas' "Dancing in the Street" inadvertently became a call for social change. Released as a single between the race riots in Harlem and Philadelphia and after the Civil Rights Act of 1964 was passed, the innocent track adopted a second meaning that became a call to action across the nation. Though Gordy relocated Motown Records to Los Angeles in 1972, the original building now serves as the Motown Historical Museum. West Grand Boulevard is known as Berry Gordy, Jr. Boulevard and Studio A, where "Dancing in the Street" was recorded, has been carefully preserved over the years.